This is a more fitted ladies version of the vest / tank, a great t-shirt for those warm, sunny summer months. Design 2 has the oblong GSDR logo on the front with the words German Shepherd Dog Rescue printed underneath along with web address and phone number of the rescue. 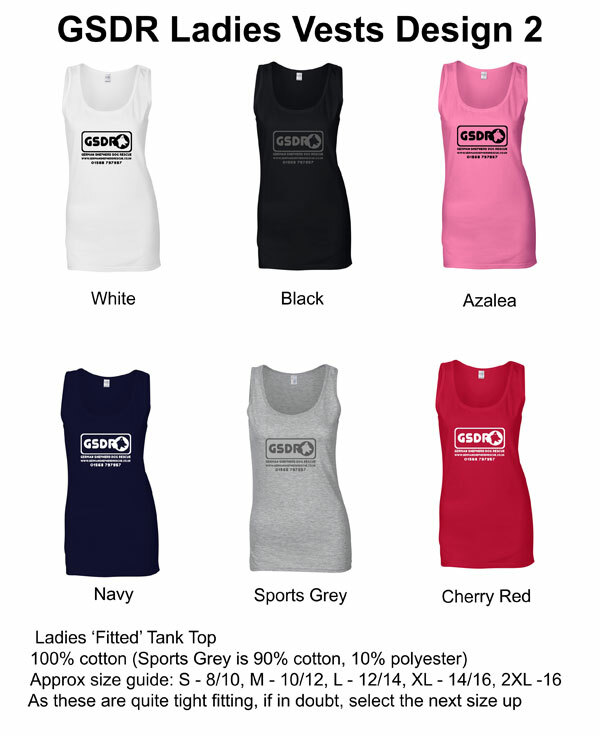 Thes vests are 100 cotton except for the sports grey version which is 90% cotton, 10% polyester. These are quite tight fitting, so if in doubt, order the next size up.